Morgane and Chris Stapleton Celebrate the Birth of Twin Boys! Announcing Your 2018 ACM Award Winners! 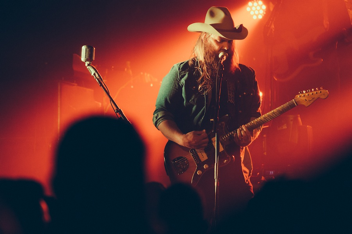 Chris Stapleton made his Nashville Bridgestone Arena headlining debut with two sold-out shows over the weekend, and during Friday night’s concert, the superstar revealed he will release his new album, From A Room: Volume 2, on December 1st. Chris released From A Room: Volume 1 this past spring, and it features the hit, “Broken Halos,” which is currently making its way up the country charts.